Mt. 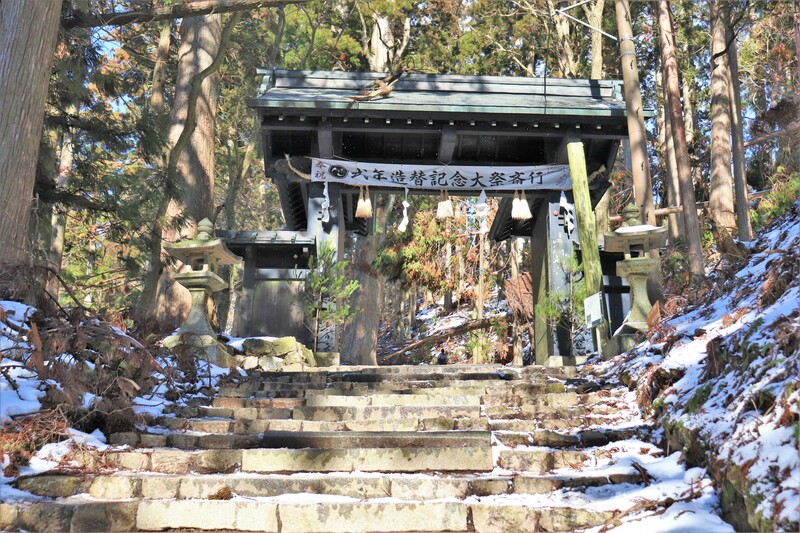 Atago and Atago Shrine: Day Hike! 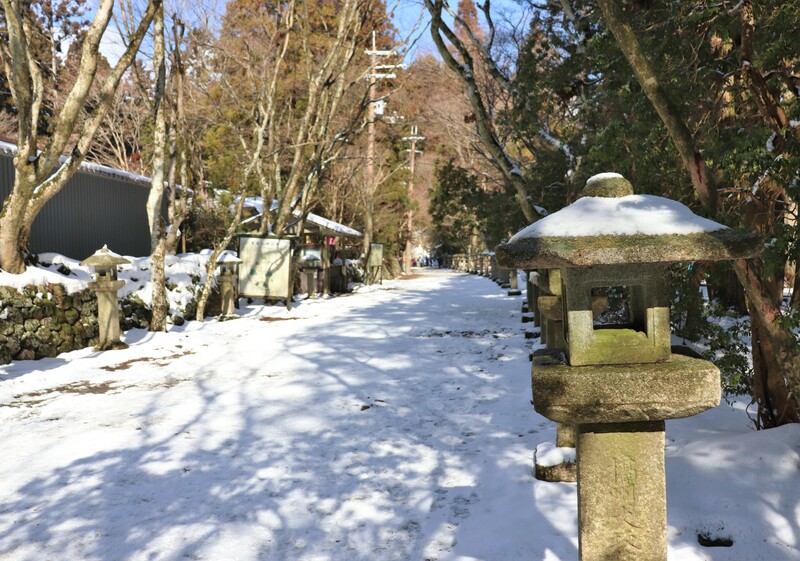 Just a little bit away from the bustle of tourist heavy Arashiyama is Mount Atago. 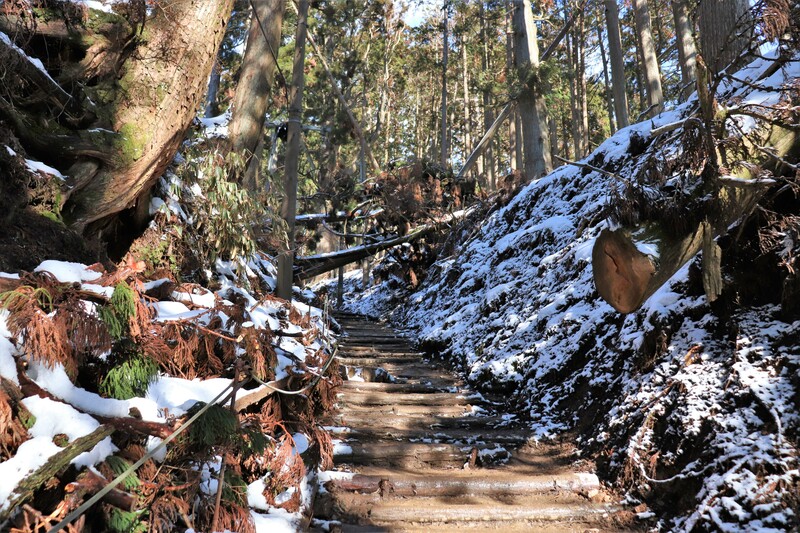 The mountain is a very popular day hike for the residents of Kyoto and the surrounding areas. 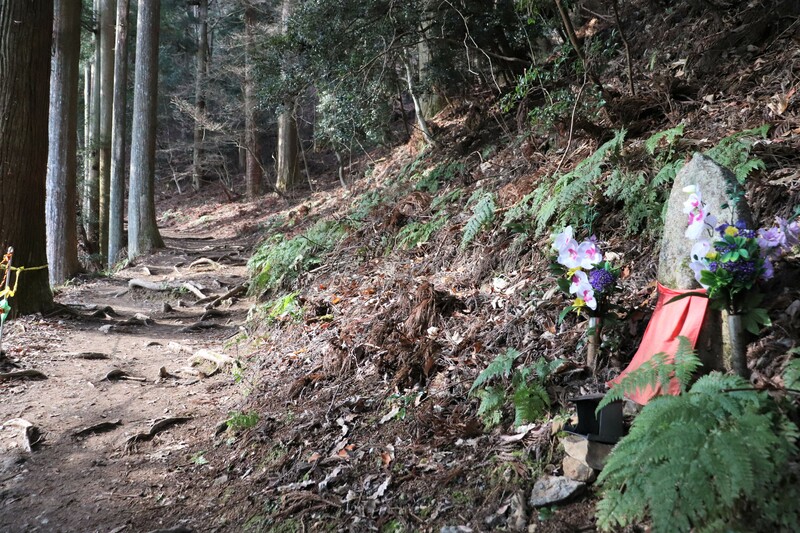 This 924m high mountain offers hikers and nature enthusiasts an easy brisk hike, a mere hour from major cities like Kyoto and Osaka City. In addition to the pleasure of a day out in nature, Mt. 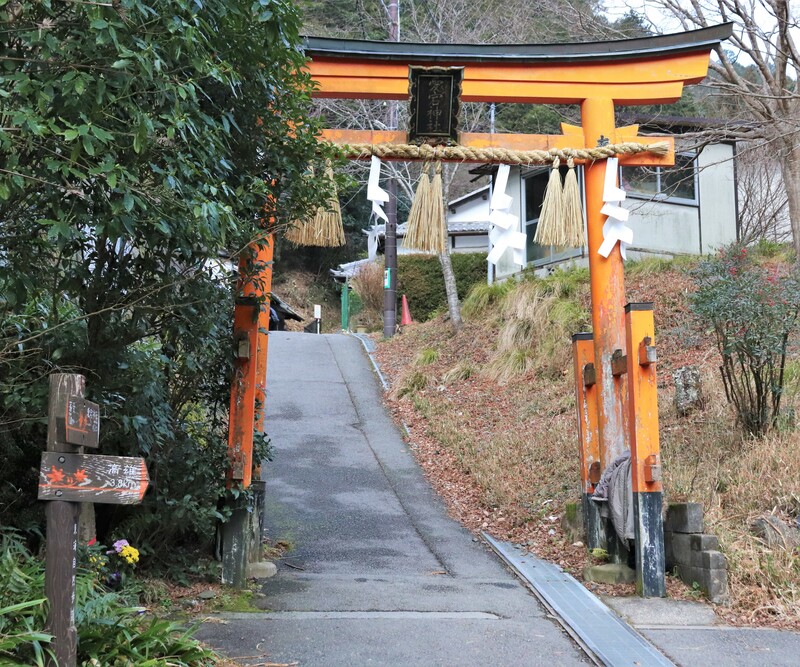 Atago has another attraction; the locally famous Atago Shrine, home to the Shinto god of fire. To get to Mt. Atago, you have to take a bus to the foot of the mountain. You can hop on a bus* at either Hankyu or Randen Arashiyama Station and then get off at the final bus stop, Kiyotaki. Make sure to check the bus schedule before you head out, as bus service is only once an hour. 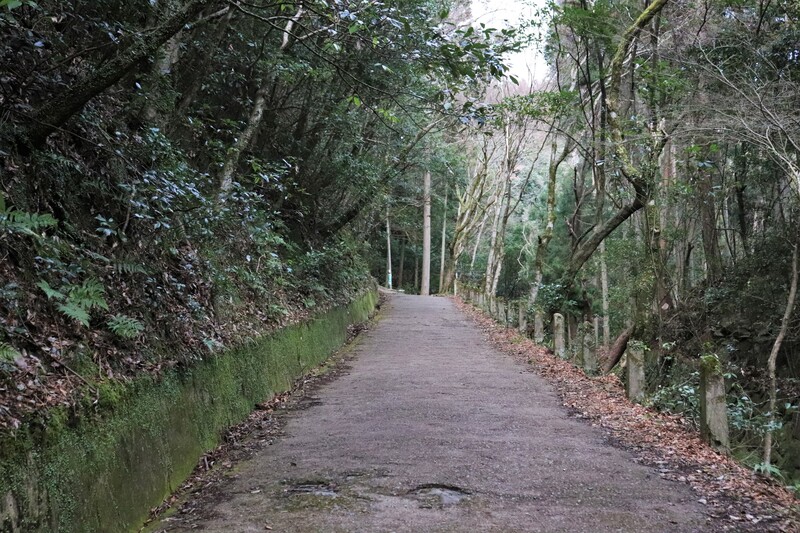 It only takes 25 minutes from Arashiyama Station. 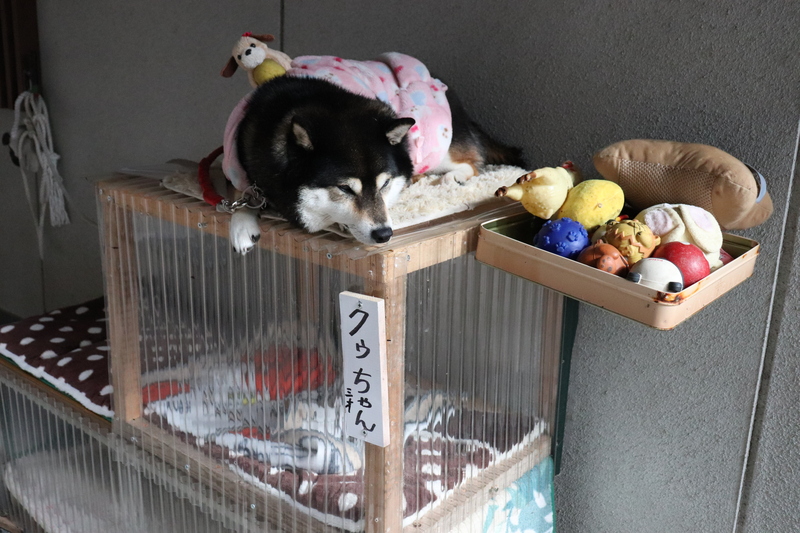 Some people say bus service is also available from Sanjo or Kyoto Station, but we don’t recommend this option because the buses only come very early in the morning and it may take as long as X hours to Kiyotaki. 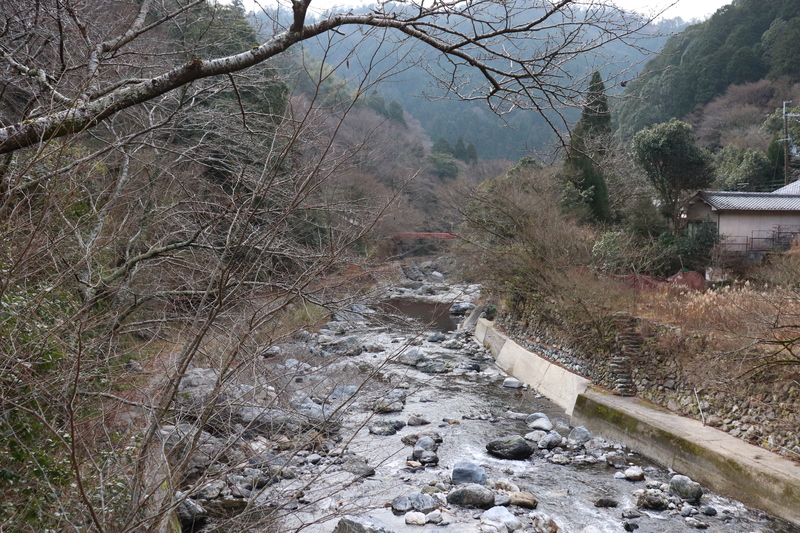 After you get off at Kiyotaki, walk along the river (up the river) and after a few minutes you will see the big torii which is the entrance of Mt. Atago. 1. It is a total of 4 km to the top of the mountain. Most people take roughly 4 to 5 hours a round trip, so don’t set out too late in the day. We strongly discourage hiking the trail in the dark! 2. There are several trails that go up Mt. Atago. The most popular one is Omote-Sando (lit. main approaching path) and is clearly marked. The other trails might not be clearly marked and a handful number of people lost in the mountain every year. If you want to go off the main trail make appropriate preparations. 4. In winter, the mountain usually has snow. It is very likely that you will need to bring a pair of snow cleats in the winter. The main trail for Mt. Atago starts at these torii for Atago Shrine. 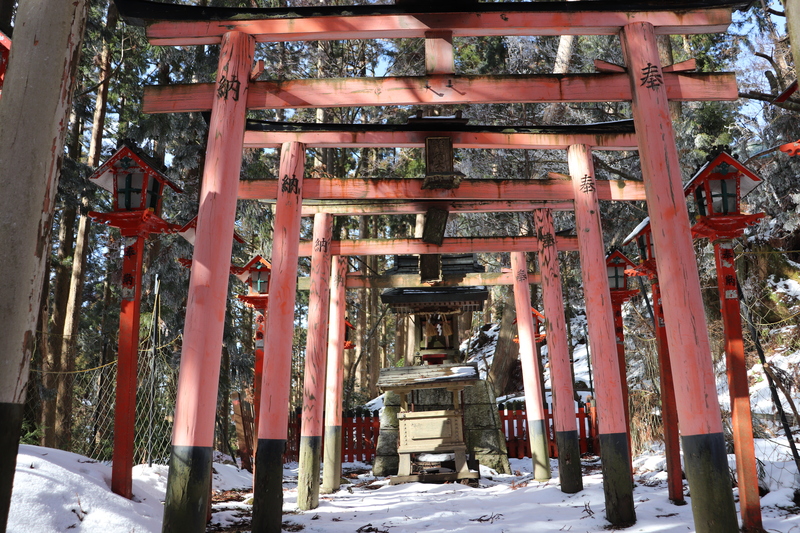 Torii: The main trail of Mt. Atago starts here. From here, the trail leads to the top of the mountain. At first, I thought 4 km should only take about an hour or so to hike, but as we climbed up, I began to understand why it takes more than 2 hours to the top; the trail is essentially nothing but stairs. 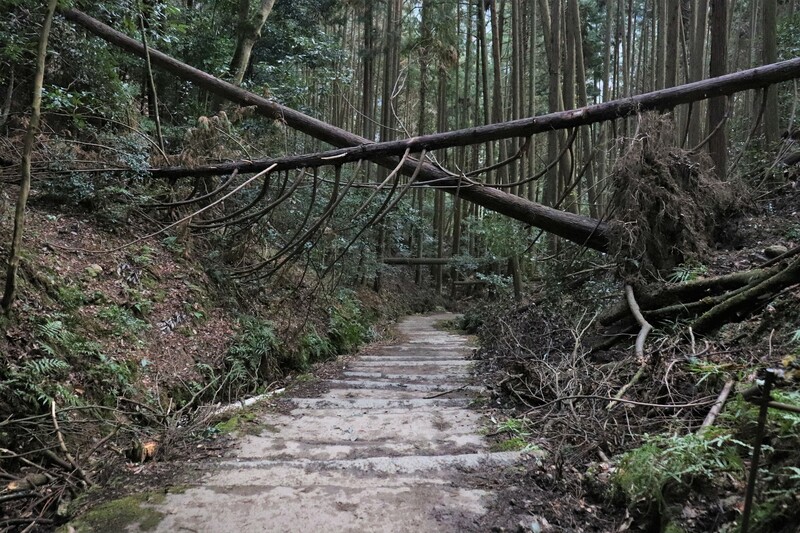 There are many trees fallen. 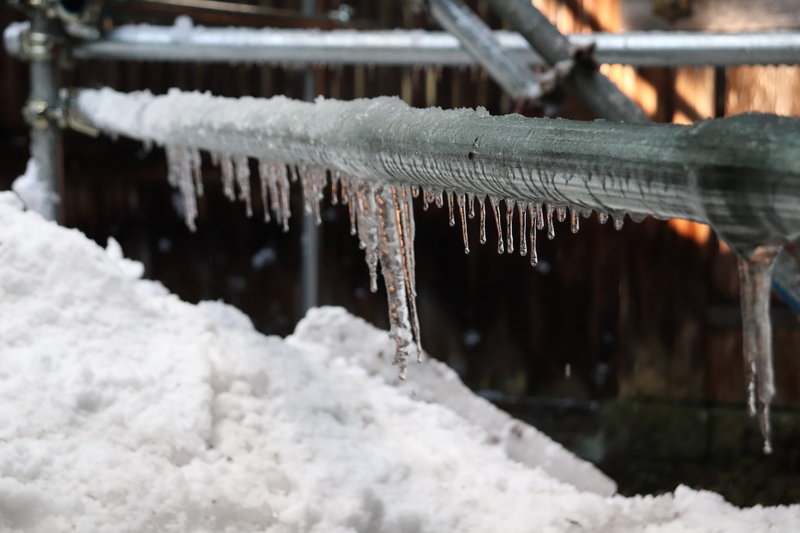 Maybe due to the typhoon last year? 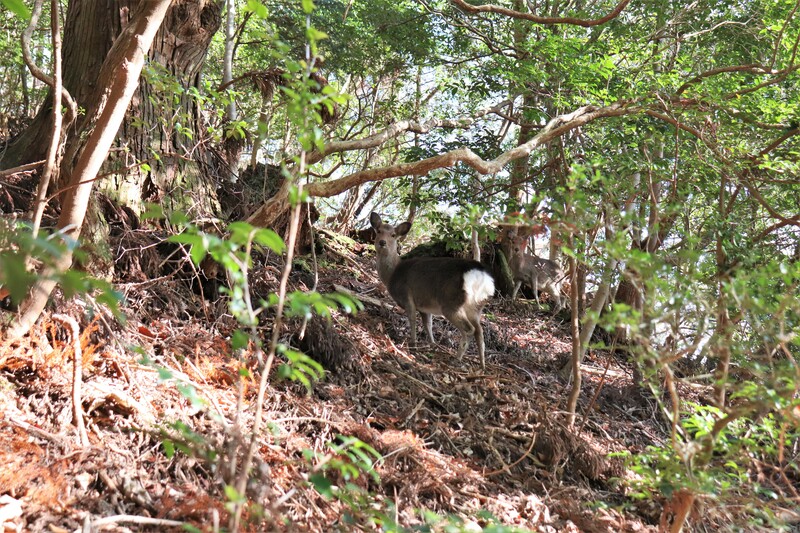 Deer: there were deer! I didn’t imagine we would see any animals because there are so many people walking on the path. Near the top of the mountain we started to see snow. After you see the black gate, it is just a little further to Atago Shrine! Kuro-mon: this gate is left over from the temple that once stood here; Hakuun-ji Temple. 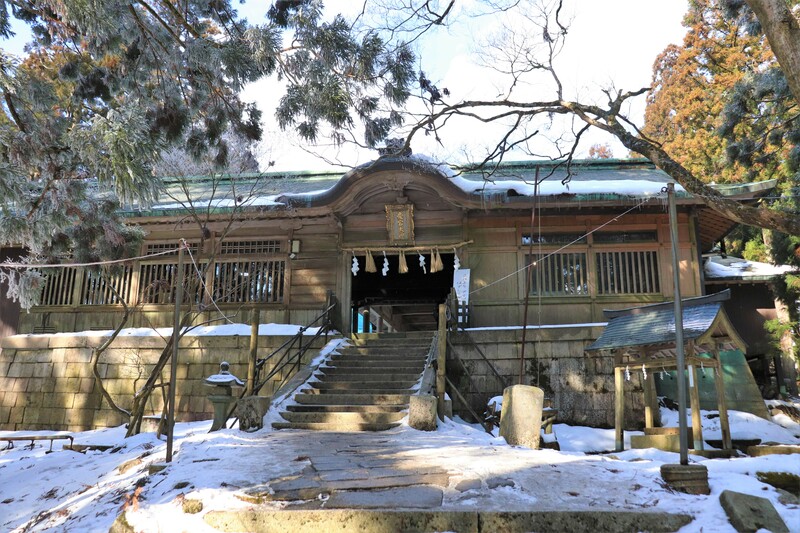 According to shrine legend, the origin of the shrine dates back to the 8th century when En no Gyojya, the founder of mountain Buddhism, built a hut in Mt. Atago. 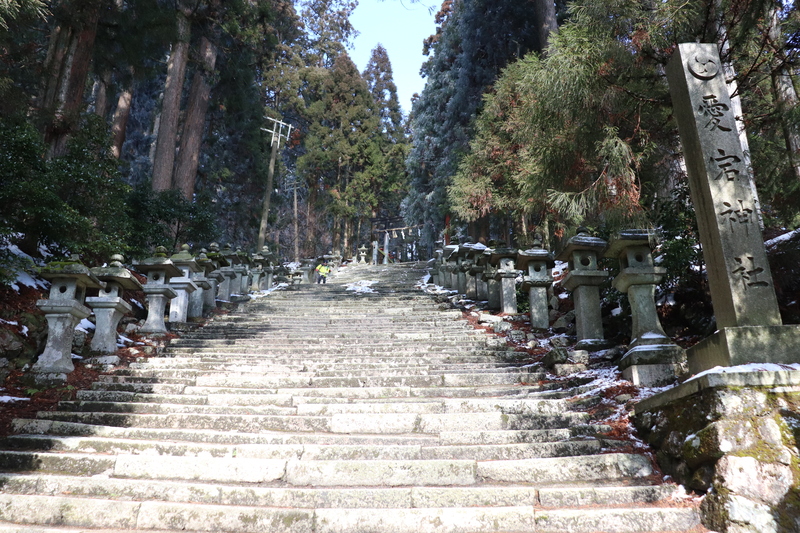 Later, Wake no Kiyomaro built Hakuun-ji Temple to enshrine the god of the mountain, Atago Daigongen. Later, the main deity of the temple became Katsugun Jizo, who is more like a Buddhist warrior deity. 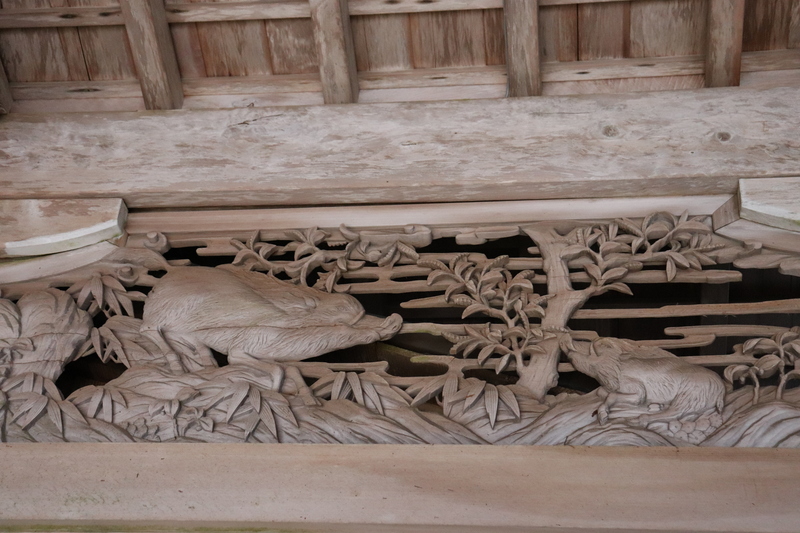 By enshrining Katsugun Jizo, many warriors from the region came to worship at the temple. Unfortunately, the Meiji Restoration forced Buddhism and Shinto to completely separate, resulting in the destruction of Hakuun-ji Temple. 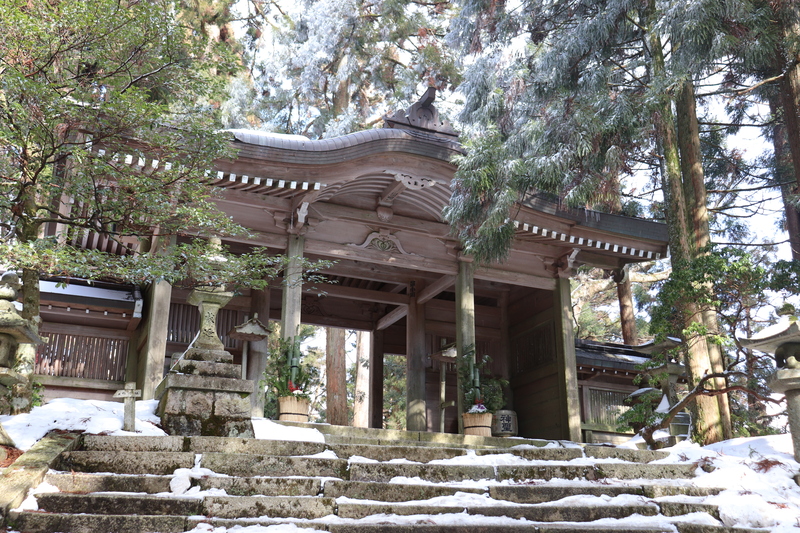 Soon after, Atago Shrine was erected and the popular Katsugun Jizo was moved to another temple. Mt. 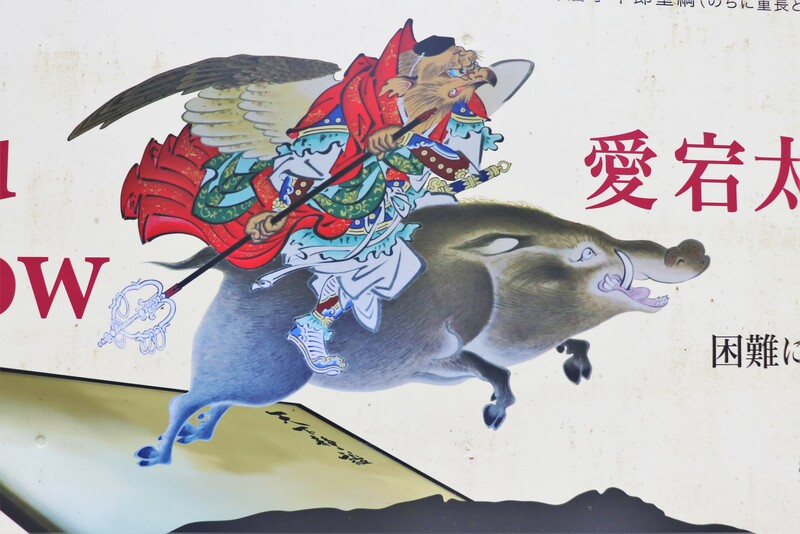 Atago is also well known for the tengu who lives in the mountain named Atago Tarobo. 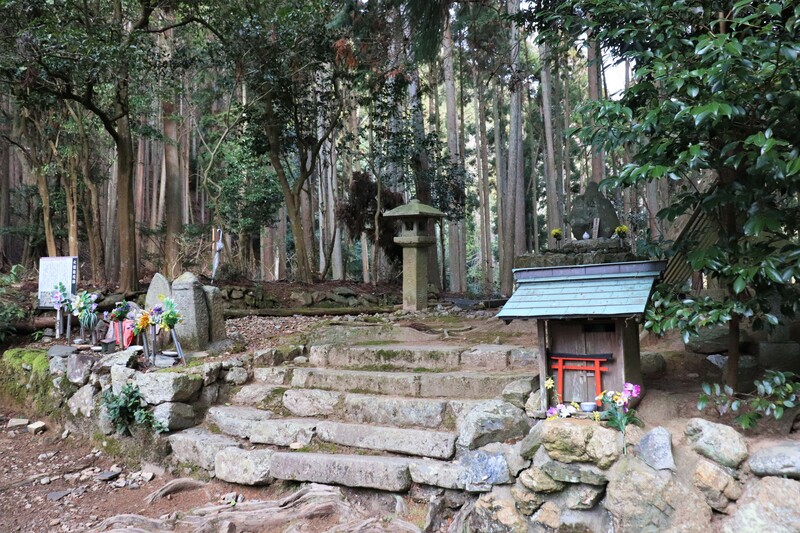 There is even a legend that says En no Gyojya decided to build a hut here because he met this tengu in Mt. Atago. Records also indicate that Hakuun-ji temple did in fact enshrine this tengu. After you pass Kuromon gate, this will at last flatten out. 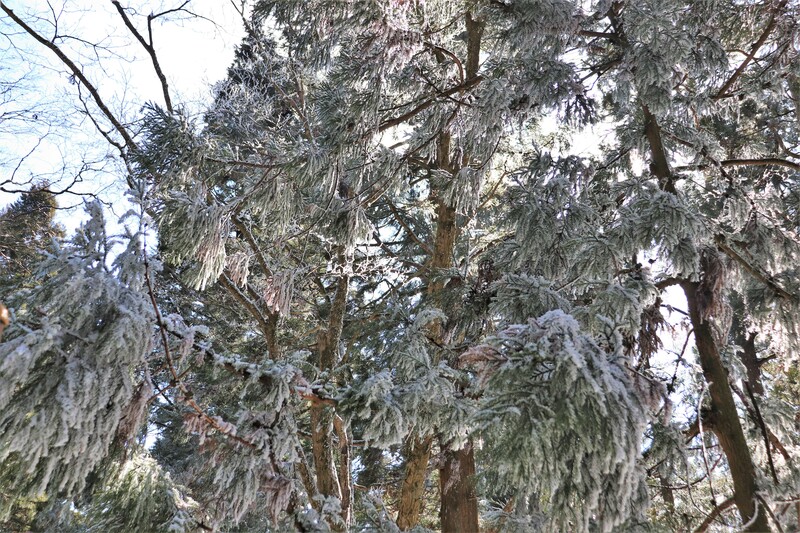 The top was 5 degrees colder than the foot of the mountain and partially covered with snow. 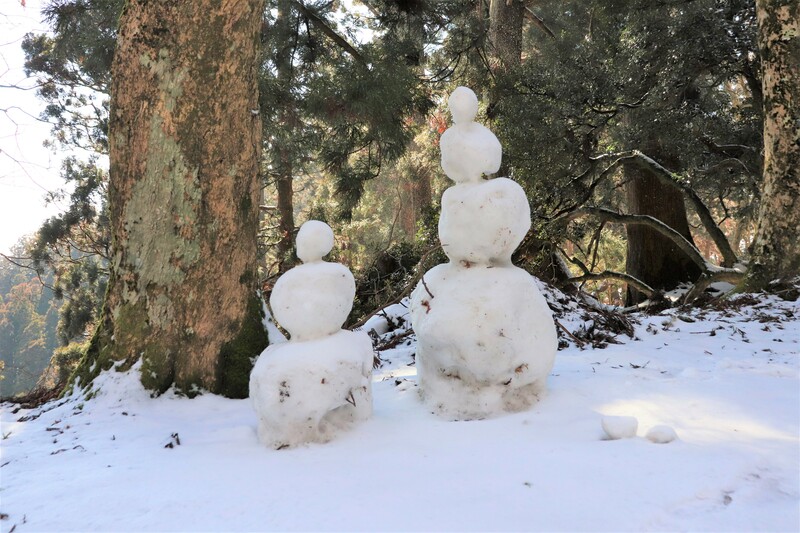 snowmen: it was warm that morning, so the snow was starting to melt when we got there. Finally, after 2 and a half hours, we made it to the honden of Atago Shrine. 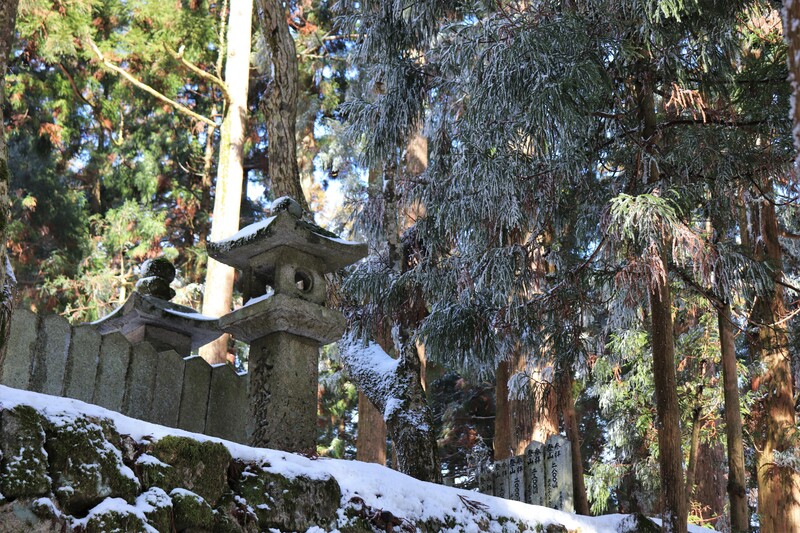 Atago Shrine itself is a small shrine on the top of the mountain. Currently, the main god of Atago Shrine is Izanami and her children, namely the god of fire, Kaguzuchi. 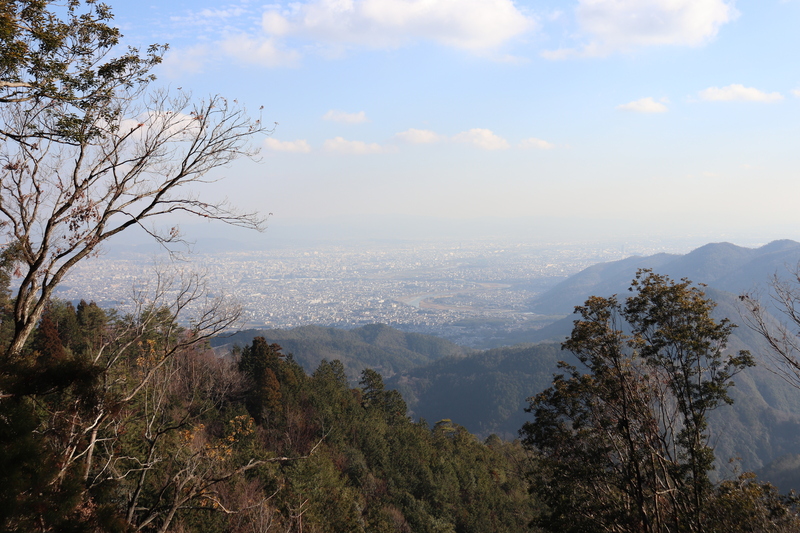 People in Kyoto traditionally climbed this mountain to get special fire prevention charms and amulets to put in their kitchens. Dude, it’s cold up here. Byodoin Temple and Japan's Iconic Phoenix Hall!